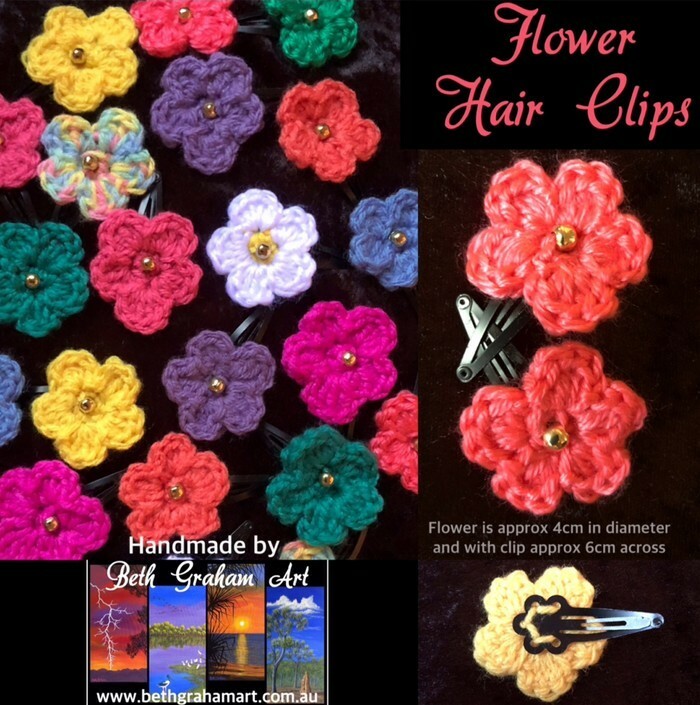 These cute little Flower Hair Clips have been lovingly hand crocheted by myself and assembled with care so they will last. 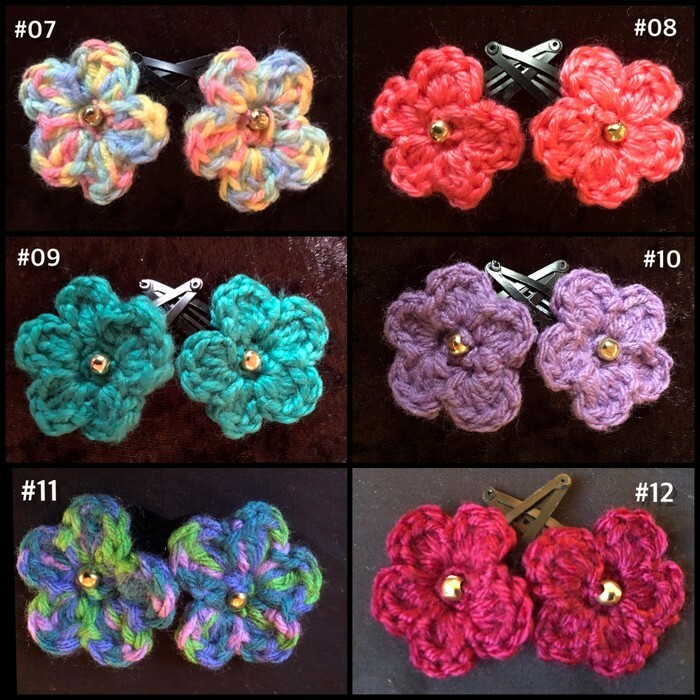 I use metal clips and 100% acrylic yarn, as it is a hypoallergenic fiber that won't shrink or felt when washed. It has good elasticity, resists mildew, and won’t attract moths. 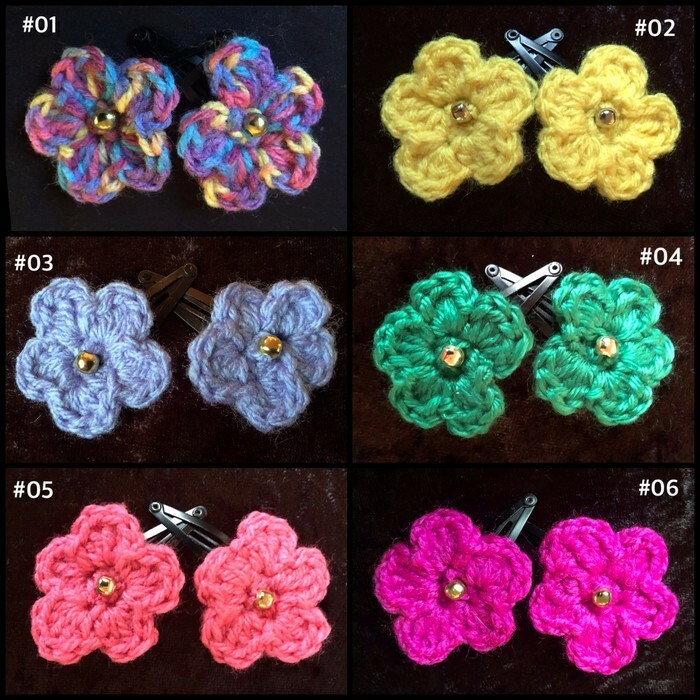 Pick your colour by purchasing this item, then message me with the number that correspinds with the colour you’d like in the photos above. The colour options are endless, so if you would like a colour that is not listed, send me a message and I’ll see if I can find what you are after.